I last saw The Fat Man at Preston Guild Hall in 1973. Later, I purchased a Hi Fi and a double album collection of his hits and discovered that his appeal for me had waned more than I had realised. By then, I was listening more to people like Amos Milburn and Willie Mabon whom I thought were grittier. Perhaps I had become a snob. His show in 1973 was not a success. The mikes were wired up to loudspeakers that would have been fine with my new Hi Fi but as part of a PA system they were inadequate. The audience soon became restless. ‘We can’t hear Fats,’ someone yelled. ‘I bet you get bloody better PA systems than this in New Orleans, Fats,’ shouted another. Walter looked at the lady and offered her the drumsticks. I envied him his naivety, his belief that his sarcasm would have the last word with a woman from Lancashire. The encounter did not last long. The set continued and Walter played quietly as he was told. After the show I had the opportunity to talk to Fats. He was as benign and as likeable as his records. We laughed about the irony, a man, who was famous for adding the back beat to rock and roll and the percussive impact of his piano, being obliged to play quietly and with drums you could hardly hear. This particular evening is mentioned for two reasons. What the experts think of as the technical breakthroughs often mean little to the people who are gripped by the music. This half relates to Elvis hating stereo. He did not want his audience sitting between speakers listening for instruments to appear out of a speaker. He wanted it to land in one piece in the middle of the chest. Hemingway said of his short stories, ‘I want them to feel more than they understand’ and I believe Elvis felt the same. The technical stuff was his responsibility. But we cannot ignore the backbeat easily and this leads to the second reason the evening now dominates my memory. 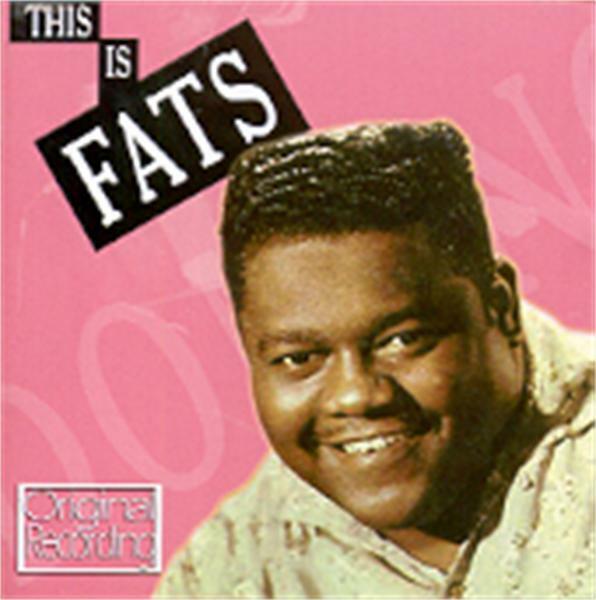 The Rick Coleman biography of Fats Domino* claims that it was the introduction of the backbeat on his great single ‘The Fat Man’ that entitles Domino to be given the credit of creating rock and roll. Coleman regards Fats Domino as the most important figure in rock and roll. He was certainly successful and Elvis was a keen admirer. In a gesture that never earned him any credit, and which I could have mentioned last week, Elvis appeared at his 1969 Vegas press conference with Domino at his side. The Press were there to welcome Elvis back to the stage and to praise. Elvis deflected some of that adoration and introduced Domino as the true King Of Rock And Roll. I do not think Elvis is right but what do I know. I lost Fats on the way as I did Little Richard, both of whom were childhood heroes of mine. I found that their music became formulaic and what makes me an Elvis fan I suppose is my admiration of his diversity. I will, though, concede that Fats was playing rock and roll before Elvis and if we are tempted to build a bridge between rockabilly and rhythm and blues then the bridge would have to begin in New Orleans. I also found that if I listened to Domino while I read Coleman it was much easier to experience the pleasure that had once led me up the M6 motorway to listen to Fats struggle with an inadequate PA system. ‘It must be in our culture,’ I said. I did not mention Elvis to her and the obsession writers have with the beginning of rock and roll. 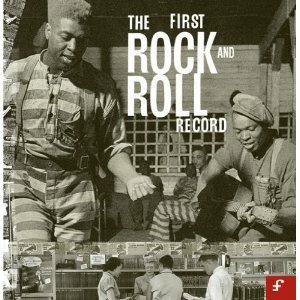 The CD collection ‘The First Rock And Roll Record’ on the Famous Flames label is a marvellous collection of music that goes as far back as 1916 but the determination to define the key moment of epiphany is misguided. It is as if we believe that its location will give us the ultimate mythic clarity that we must possess. I had the good fortune to listen to rock and roll when it arrived or when it arrived in the charts at least. I do not remember thinking Elvis invented rock and roll but I did think he was different and that he had more appeal than the rest. I was a child living in England and my ignorance meant that for a while I mistakenly believed Bill Haley was the creator of rock and roll. Elvis, though, always had his own mythic clarity and it gripped me as it did so many. But so did African American rock and roll and rhythm and blues. The myths, though, were different. Rhythm and blues reminded us of the talent of an oppressed race and it exposed the limitations of its oppressors. Elvis was about the dreams of an individual although it was an individual who could connect to everything – class, race, gender, bohemia, hierarchy and all the rest. Racial discrimination did hold back black talent and people like Fats Domino were not given credit for their innovations although in the case of Domino he sold a lot of records to white kids. The tilted values of the time must have also affected me in how I assessed individuals. There were so many talented African American talents I saw them as comparable. But there was no white man who sang rock and roll like Elvis. He was on his own amongst white people and he had crossed racial barriers. He had the key ingredient of mythic clarity. He appeared to be a hero. So, he benefitted but the musical talent was considerable, as were his achievements. Rockabilly was a distinct genre within rock and roll and he played a key part in its creation. There were other examples, too. He had his own epiphanies. He was also a person who could sing it all well. For some reason, this does not always impress others but I was easily convinced by Greil Marcus. Only Elvis, he said, had a talent that could embrace the contradictions of American society. That talent also meant he could express the complex yearnings within human nature. Some years ago I climbed Baugh Fell in the Howgills, a range of uplands not that far north of where Fats struggled with an inadequate PA system. 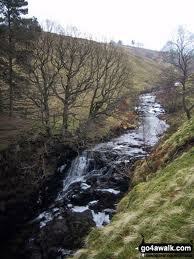 The walk allows you to trace the River Rawthay to its source on top of the fells. The first half of the walk accompanies the river. When it is in full flow, at the foot of the hills, the Rawthay dramatically forces a wide fast running sluice through a harsh landscape. After a demanding climb I expected something unusual, a spout or a large pond. Instead, the beginning was no more than damp grass and familiar English mud. I stood on top of the fell and remembered the power of the river I had accompanied earlier. I suspect that if we ever do find the first rock and roll record or the point where it actually began we may discover something a lot more modest and a lot further away than we imagine. *Blue Monday Fats Domino And The Lost Dawn Of Rock and Roll, Rick Coleman Published by Da Capo Press. 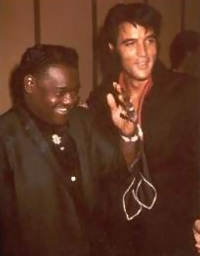 I love Fats Domino great songs like Blueberry Hill and the Valley of Kings… I thought the first Rock n Roll single was Rocket 88 by Ike Turner circa 1949, heard a story Elvis used to sit behind his piano and hear him perform at a club. I remember watching one of my heroes John Wayne in Red River where he and his adopted son and other cowboys drove cattle from Texas, and their final showdown. Great black and white movie. Talking of firsts, Red River was the first VCD i owned. You are right about Elvis listening to Ike Turner who was a great talent before he met Tina. One of the reasons the piano intro to Blueberry Hill is so effective is that the second note is slightly late. 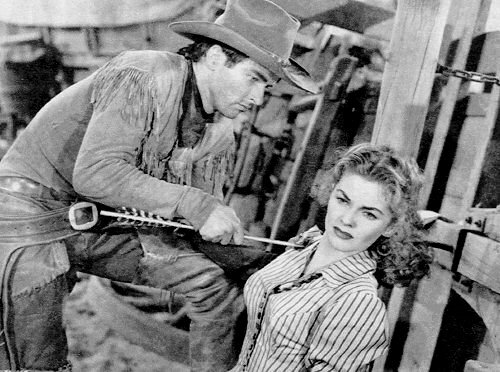 Quite a few references to Howard Hawks, director of Red River, in Treat Me Nice. Is a VCD what in the UK we call a DVD or is it a video tape? Thanks for the comment. I assume the Fats Domino single you refer to is Valley Of Tears or is there a song called Valley Of Kings? There is an extract from Treat Me Nice on this website. As always a blog which is enjoyable and informative. Really like the metaphor of the river. Interesting that you chose Fats Domino to make this point.. a lot of people – particularly Elvis’ detractors – are keen on identifying black precursors to Elvis who struggled to make the impact he did in the face of overwhelming discrimination. Very difficult to decide on who is the ‘first’ anyway, as you rightly point out (and probably pointless). Until we can truly define Rock and Roll then nobody will ever win the argument. It is a testament to these artists and their ability to make us ‘feel more than we understand’ (to paraphrase) that a final definition is still absent.